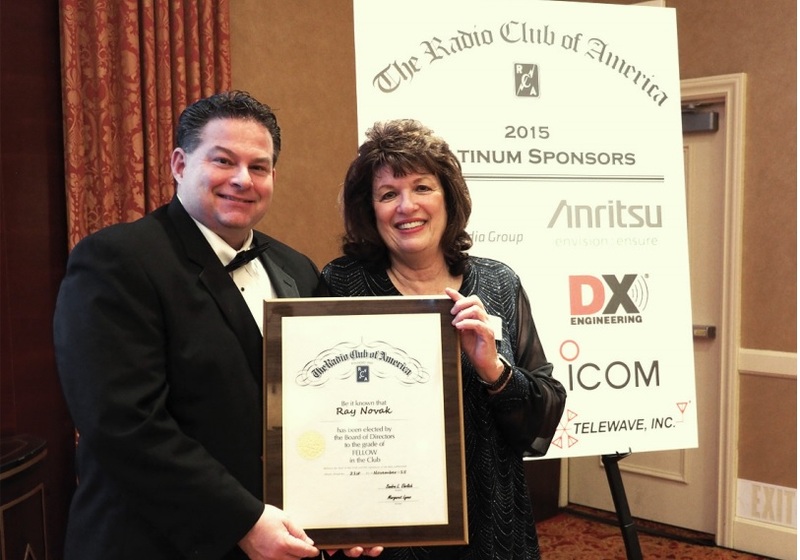 Icom America announces the appointment of Fellow to Senior Sales Manager Ray Novak, NJ9A, by the Radio Club of America (RCA). Novak received the honor for his amateur radio achievements and contributions to the hobby. The RCA celebrated its complete class of 2015 Fellows at the organization’s annual Awards Banquet and Technical Symposium. The latter event was broadcasted live on the Internet courtesy of Icom America (www.icomamerica.com/rca) on November 21, 2015. Every year, RCA names a select number of club members as Fellows. This honor reflects the chosen members’ dedication to radio communications and innovation. Novak, an Icom America associate for over 20 years, has spearheaded events and sponsorships that support amateur radio and introduce younger generations to the hobby. Novak was been involved with various youth-oriented projects such as the Dayton Youth Forum directed by Carole Perry, the Zack and Max comic book collection, and most recently, the partnership with the Boy Scouts of America.